Tumblr, Twitter and Facebook — these are common online platforms for Lesbian, Gay, Bisexual, Transgender and Queer (LGBTQ) youth to seek support and information. Yet, resources on these platforms can sometimes be overwhelmingly catered to a Western audience, failing to provide personalised help for those living in other parts of the world such as Asia. BE is a new website that hopes to close this information gap. Soft launched in June this year, the site hopes to create a platform for Asian LGBTQ persons aged between 16 and 30 to connect with one another and learn more about important health and wellbeing issues, all in the spirit of the tagline “Be Yourself, Be There For Others”. The initiative is run by B-Change Foundation, a regional social enterprise that taps on social media and apps to provide support and advocacy services for LGBTQ people. Bryan Choong, a program associate at the foundation, explained that the team seeks to provide their target audience with “accurate information about their sexuality and sexual health” in their own languages. BE is currently available in English and Thai, and will soon also be available in Bahasa Indonesia and simplified Chinese. One common problem the LGBTQ community faces is locating organisations to form a support network. The “FIND” section of BE addresses this issue by providing users a platform to add LGBTQ-friendly listings and to rate the service standards. For example, a search for current Singapore listings brings up organisations such as Young Out Here, a peer-led support group for LGB youth. How can LGBTQ youth deal with cyber-bullying? What are some tips for coming out? The “LEARN” section seeks to educate youth about important physical and mental health issues. In lieu of World AIDS Day on Dec 1, the team also worked on a series of articles about the importance of HIV testing, and advice on how to overcome the fear of going for a test. There are also factual articles on the state of LGBTQ rights, for instance, a list of FAQs on Thailand’s new Gender Equality Act. While the current writers are staff members, Bryan adds that they hope to get external contributors who are familiar with the LGBTQ scene in Asia. The BE team has also worked on a series of short films, Stories of Being Me (SOBM), that shines a spotlight on the everyday lives of LGBTQ people across Asia. The inspiration for this came when the team analysed “It Gets Better” — a popular movement in the US where individuals submit videos to encourage and support LGBTQ youth. Realising that there was a lack of LGBTQ voices from Asia, BE decided to embark on the 12-part series, featuring short films by community advocates and emerging Asian filmmakers. The first episode, for instance, features filmmaker Darius Zee and his musings on Singapore’s treatment of the LGBTQ community. “The project…enables us to illustrate the diversity of LGBTIQ in our region from an Asian perspective, all housed within a platform where people can discuss these stories in a safer space,” Bryan explained, adding that many other community organisations have found SOBM useful as a teaching tool in workshops promoting inclusion. 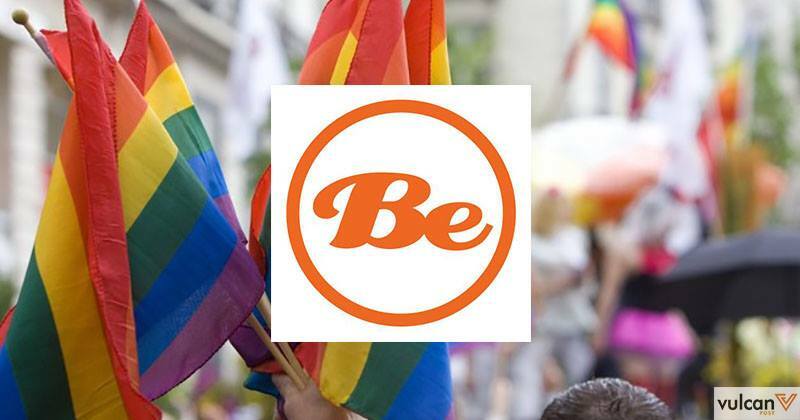 While there is no shortage of social media platforms for youths to interact, the BE team decided that it is important to have a dedicated space designed by, and for the LGBTQ community. 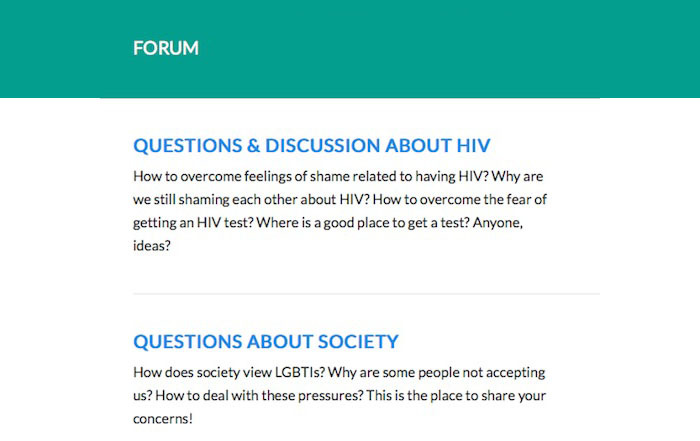 On the “CONNECT” section of the website, users can start discussion topics, share tips and find a support system among like-minded users. While essentially serving the same function as forum sites like Reddit and Quora, the FIND section could potentially allow for healthier conversations in a more controlled space. “Considering that LGBTIQ in Asia live in environments where stigma and discrimination prevail, social media can often be hostile when [related] issues arise. We offer a safer space for [them to] build communities online,” Bryan explained. The concept of a dedicated online platform for Asian LGBTQ youth is an important one, for it addresses the very real lack of help resources specifically targeted at this demographic. It is also heartening that BE is largely a grassroots-driven effort; as Bryan shared, the team consists of psychologists, counsellors, public health workers, human rights advocates and community workers brought together by the desire for a more inclusive society. Many of them are also active in their local LGBTQ movements, which makes them the ideal team to be building this platform. Getting down to the user experience, the website can be more polished. For instance, the listings section does have some duplicates, while test posts are still visible to end users. Then again, BE will be rolling out more improvements to the site over the next few weeks, so perhaps these issues can be ironed out soon. A more significant challenge, as with any other online platform, would be in amassing a strong following among young users. A forum may not be sufficient to attract this demographic, who are typically more engaged when they are able to share visual content, such as memes on Tumblr or photographs on messaging apps. There is definitely scope for the social aspect of BE to be further maximised. Nevertheless, it will be exciting to see how the LGBTQ community responds to BE, and whether this website gains traction beyond this region. BE also has plans to roll out a native mobile app in future, which will be worth looking out for.